UPDATE: The suspect is identified and the officer has been released from the hospital and expected to recover at home. A Milwaukie police officer was shot after exchanging gunfire with a man suspected in a shooting incident late Saturday night. 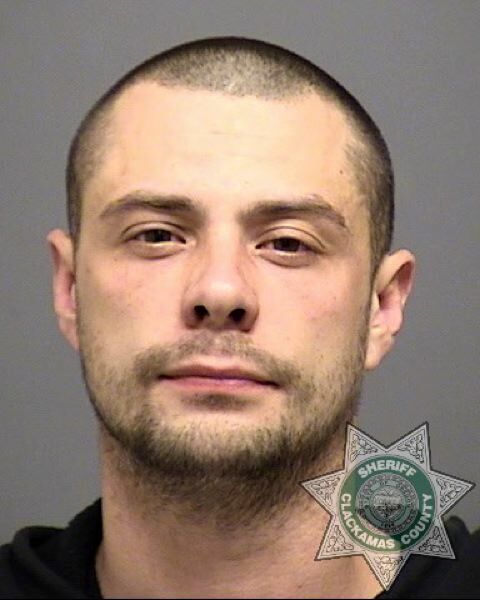 The suspect is Douglas Joseph Teter, 30, of Milwaukie. He is lodged in the Clackamas County Jail on multiple charges, including attempted aggravated murder. The officer who was shot was not immediately identified, Police say was released from an area hospital Sunday morning and is now home with family, recovering from multiple gunshot wounds to his leg. The incident unfolded around 11:20 p.m. on April 13. According to Milwaukie police, the officer tried to contact the suspect near Southeast Monroe Street and 42nd Avenue. But he kept moving, and the officer used a Taser on him near 42nd Avenue between Jackson and Harrison streets, near the Safeway grocery store. The Taser wasn't effective, officials said, and the gunfire erupted then between them. When the officer was shot, the suspect ran and hid under a truck and camper on Southeast Llewellyn Street, where other officers found him. The suspect was Tased again before being taken into custody, police said. The wounded officer was taken to a hospital for treatment and is expected to recover. The extent of the officer's injuries was not released. The lead agency in the investigation is the Clackamas County Major Crimes Team.